Garlic is an amazing superfood – and not just for fighting off vampires! Renowned for its heart health benefits, garlic is also good for your immune system (“5 Superfoods to Boost Your Immunity“). Garlic supplements are fine but eating “real” garlic is so much tastier. This soup is very hearty, super healthy and very, VERY tasty! I like to make this in large batches and then either freeze some of it or put it in a thermos for later. 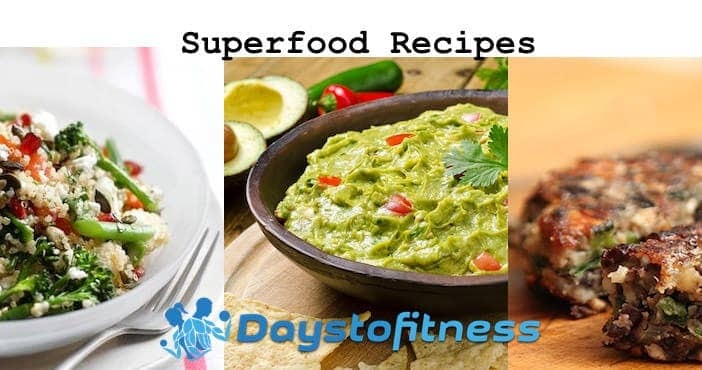 Find more about superfoods on my guide “My Superfoods“. Preheat oven to 350 degrees F. Use a serrated knife to cut the top off each garlic head. Place the garlic heads on a baking tray drizzle with two tablespoons of olive oil. Add the bay leaves and cover tightly with aluminium foil. Place in the oven and bake for 45 minutes. In a small bowl, squeeze the garlic head until all of the roasted flesh is released. Throw away outer husks and bay leaves. In a large saucepan, heat the last of the olive oil and add the onions. Cook over medium heat for about four minutes. Add the carrots and cook for five more minutes. Add the minced garlic and cook for two further minutes. Stir in the potato, chicken stock, white wine, roasted garlic, salt, and pepper. Cover and bring the soup to a boil. Reduce heat and simmer for 35 minutes. 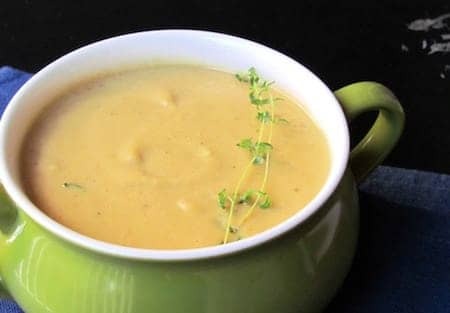 Using an immersion blender or food processor, purée the soup in small batches until smooth. Return the soup to the pan and whisk in the heavy cream. Heat until warmed but do not boil. Serve immediately.